Robert Woodward, A Social 1891. Lt, South Wales Borderers. 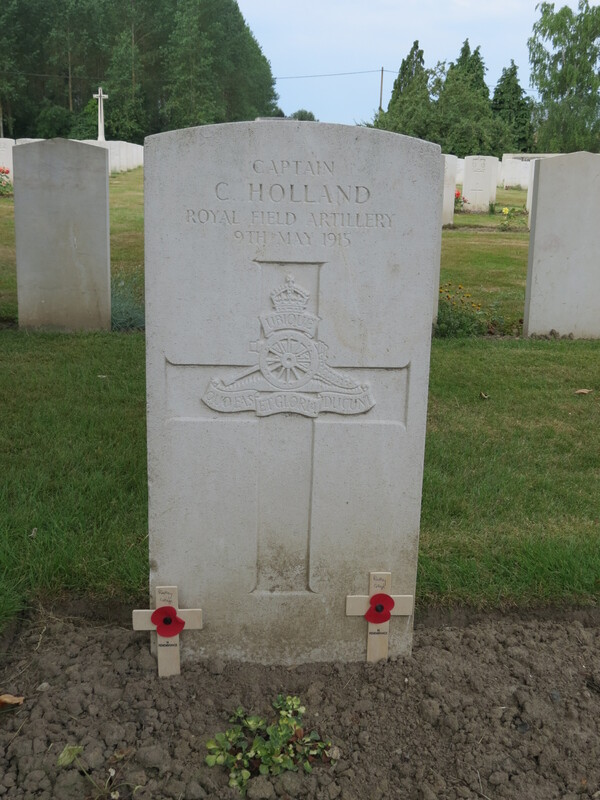 He is recorded in Radley Register as ‘killed in action at Richebourg l’Avoué in an unknown engagement’. This was originally thought to be during the 2nd Battle of Ypres, but recent research by his family has identified it as Aubers Ridge. 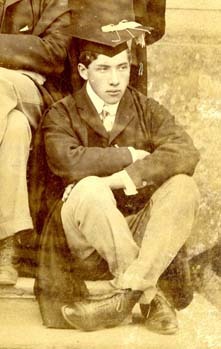 He studied Natural Sciences at Oxford, then became a barrister, member of the Inner Temple in 1904. 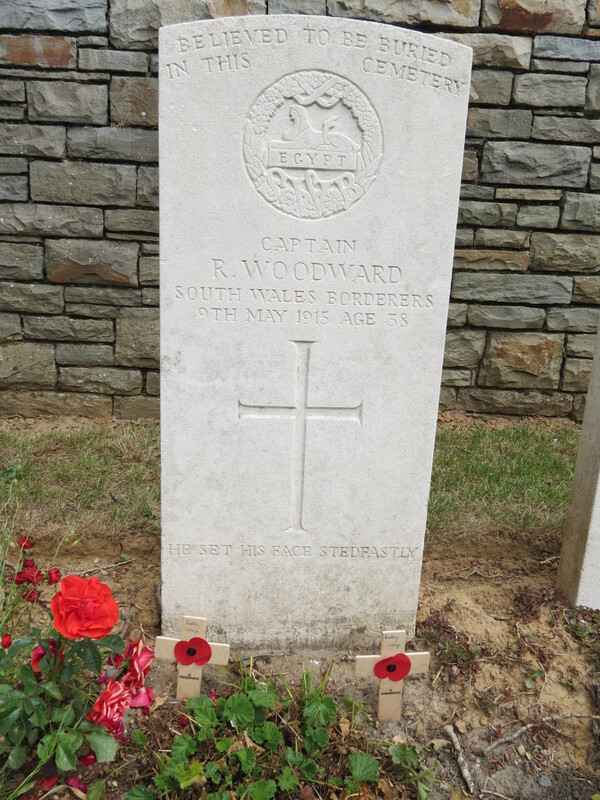 Believed to be the grave of Robert Woodward at Guards Cemetery, Windy Corner,Cuinchy. Photographed for ‘Marching in Memory’ for Combat Stress, July 2015. The family added the inscription “He set his face stedfastly” (See Luke, Chapter 9, Verse 51). 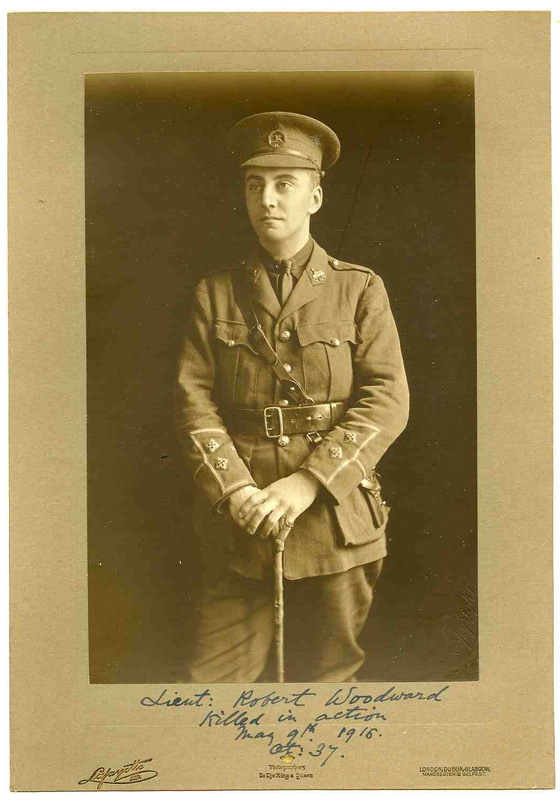 Posted in Commemorating the Fallen of WW1 and tagged A Social, Aubers Ridge, Captain, career serviceman, E Social, Festubert, Flanders & France (Western Front), killed in action, lawyer, Lieutenant, Marching in Memory for Combat Stress July 2015, Richebourg l'Avoue on 9 May, 2015 by archives602.